Resource center What is LSD and Is It Addictive? LSD was synthesized in 1938 by Swiss chemist Albert Hofmann. Hofmann was involved in a large research project using a parasitic fungus, ergot, which had been shown to have uses in speeding up childbirth and stopping bleeding. Hoffman had developed a number of compounds that had medical uses and believed that the 25th of these, LSD-25 (lysergic acid diethylamide-25) might be a useful stimulant; however, it was not useful as a stimulant medication. Further research with the compound was abandoned for some time. Some five years later, Hoffman decided to investigate LSD-25 further, and he began to synthesize another batch of the drug. As he did this, he began to feel dizzy, see a stream of colored pictures, and felt an overall sense of euphoria. He ceased working with the compound and concluded that he must have somehow touched some of the compound and ingested it (although it was later decided that he must have ingested it through his mouth). The next day he administered some 250 micrograms to himself, a fairly large dose, and initially experienced panic and stress; however, he later became euphoric and experienced a series of pleasant hallucinations. Later, others in his laboratory also tried the drug, and the drug was eventually marketed for use in psychiatry to enhance therapy. LSD became popularized in the 1960s by such psychiatrists as Timothy Leary. It was responsible for a countercultural movement in the 1960s (where it got its popular slang name, acid). Given the clash of values between traditional conservatives and more progressive liberals in the 1960s, its use became somewhat controversial, and it was associated with the “hippie counterculture.” This led to varying depictions of its use in the media. During this time, the drug began to lose popularity, and it was perceived as being counter to traditional values, although there were a series of papers that supported its uses in psychiatry. It eventually became illegal. LSD remains illegal, and the United States Drug Enforcement Administration rates it as a Schedule I drug, classifying it as having no known medical use and a high potential for abuse and addiction. Even so, there remains some evidence that it may be useful in treating various psychiatric disorders and that it is not physically addicting. LSD is classified as a hallucinogen, which puts in the same class as drugs such as psilocybin, mescaline, and PCP. LSD use produces very vivid visual hallucinations and alterations of mood, and it may produce a sense of wellbeing and euphoria or anxiety, and hopelessness. It is often sold in tablets, capsules, and in a liquid form that is added to ingestible paper. It is typically taken orally and in very small doses (often termed microdoses). The experiences of LSD are typically long, even at very small doses, and last about 10-12 hours on average. All of these documented cases responded to treatment and no long-term effects were suffered from the overdose. There are some important untoward effects that can occur as a result of LSD usage. Chronic use may lead to changes in mood, such as depression or anxiety. There is a potential for the development of other psychiatric problems, such as issues of motivation. Emotional issues from “bad trips” may occur. Flashbacks to past “trips” may occur, and these can induce panic and fear in the individual. There is the potential for harm due to accidents when a person is under the influence of LSD. There is the potential for mood and behavioral changes under the influence of LSD, such as trancelike states, extreme distressing emotions, and paranoia. Not everyone who uses LSD has pleasurable experiences. Its use results in alteration of senses of time, sensation, and awareness. People may experience the sensation of several different emotions at one time or rapid alterations in emotional states, such as happiness, anxiety, sadness, despair, and so forth. Moreover, sensory experiences may seem to mix, such as people may believe they can hear color. For some individuals, this can be very frightening and can lead to panic and despair that can last for hours. Not using the drug in places where there are flashing lights, loud noises, etc. LSD psychosis occurs when the individual loses contact with reality while under the influence of the drug. The person may experience extreme mood changes, panic, and despair. In addition, the person may suffer from hallucinations and exhibit delusional behavior. Such individuals are at risk for self-harm and should be monitored closely. Contrary to some of the depictions in the media, there does not appear to be a link between developing a psychiatric disorder, such as schizophrenia, and LSD use alone. LSD psychosis can also occur as a result of LSD flashbacks. Flashbacks occur when a person who used LSD in the past begins to experience the effects of the drug without taking it. It appears that this can happen in some individuals as soon as a few days after, and up to several years following, the last use of LSD. The most common experiences are visuals, such as flashing lights, colors, halos, etc. These effects may occur only one time or be persistent enough to interfere with a person’s functioning. Since the person has not taken the drug, the sudden appearance of these visual hallucinations can be quite distressing. If following use of LSD or any other hallucinogen, individuals repeatedly experience one or more of the symptoms that they experienced when they used the drug, and these experiences/symptoms result in significant distress or issues with functioning, they may be diagnosed with hallucinogen–induced persistent perception disorder, a clinical disorder that appears to occur in a little over 4 percent of individuals who use hallucinogens. The potential for amounts of the drug to be stored within bodily tissues as a result of many microdoses and later released over time, resulting in re-experiencing altered sensations, hallucinations, delusions, etc. Some drugs, such as anticonvulsants, have been used to help individuals who experience chronic LSD flashbacks. There is no cure for individuals who experience persistent flashbacks associated with previous hallucinogen use, and each case is treated individually. Individuals who use LSD may develop tolerance (the need to use more and more of a drug to get the same effect they previously achieved); however, there are no cases of withdrawal from LSD upon discontinuation. 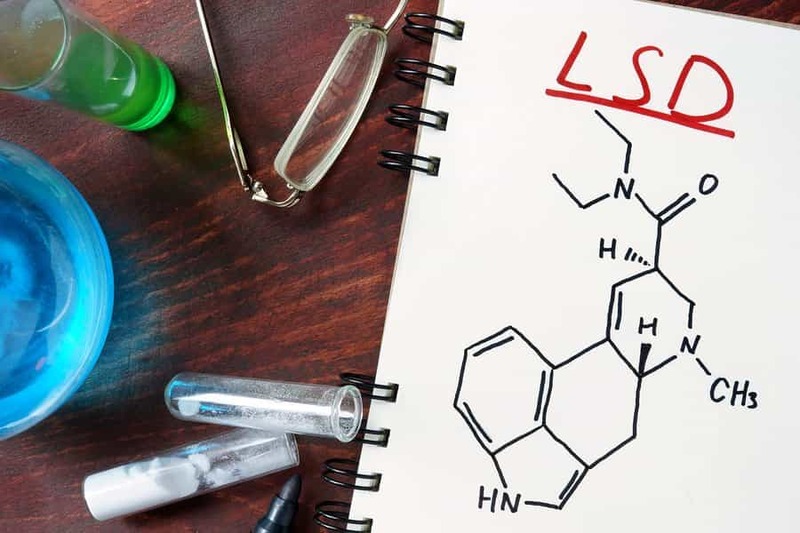 Moreover, LSD is not considered to be an addictive drug as there are few, if any, cases of individuals who take LSD exhibiting the types of addictive behaviors observed with drugs, such as alcohol, heroin, cocaine, etc. Even individuals who use LSD for long periods do not exhibit the drug-seeking behaviors that addicts display; however, some individuals may experience repercussions from their LSD usage, such as the failure to meet personal obligations, issues with their work, issues with relationships, and so forth. 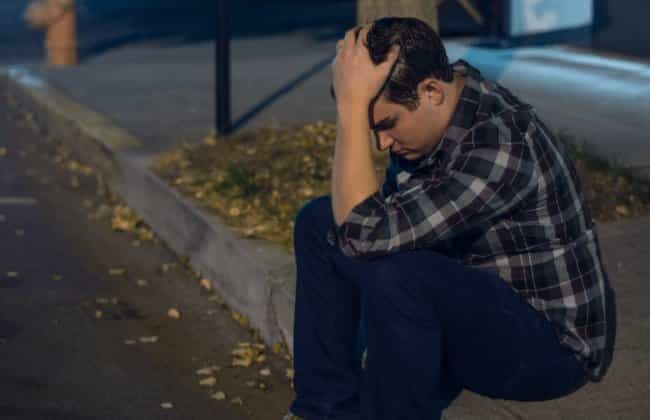 Any drug can be considered addictive when an individual fails to meet certain obligations or use of the drug leads to significant distress or issues with normal functioning. For the most part, it appears that most people who use LSD do not experience significant issues when they decide to stop using the drug. However, some individuals may experience issues with their everyday functioning as a result of their drug use or may require assistance when they decide to stop using LSD. These individuals can seek formal treatment in order to help them discontinue their drug use. As a person does not generally develop withdrawal symptoms from LSD, treatment for abuse of the drug consists mainly of therapy. Therapy is designed to modify the individual’s behavior and get the person to recognize the use of the drug as a coping mechanism. Alternative methods for coping with stress, relaxing, and dealing with personal issues are explored and implemented. For some individuals, treatment for coexisting psychological issues, such as depression or anxiety, may be required. Individuals who use LSD in combination with other drugs, such as alcohol, opioid drugs, or benzodiazepines, will require formal treatment targeted at those drugs as well. In all cases of poly-drug abuse, particularly those that involve alcohol, opioids, and benzos, medical detox is required.